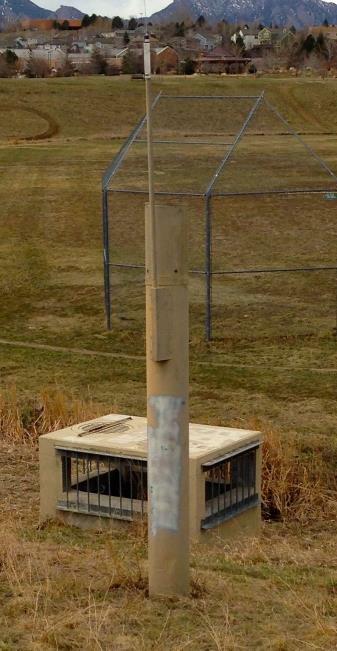 In Boulder, Colorado (and possibly other US cities) there is a radio based weather monitoring system known as ‘Urban Drainage and Flood Control’. This is a system that monitors rainfall and other weather information and transmits data using the ALERT protocol. Over at scalaeveryday.com, blogger cparker has posted how he was able to receive and decode the RF signals sent by these stations using an RTL-SDR. Using radioreference.com cparker was able to determine that these stations transmit at 169.5 MHz using frequency shift keying (FSK). Using his RTL-SDR and GQRX, he made a recording of some of the weather station packets on that frequency. Next he used a command line utility called minimodem to convert the recorded packets into binary data. After looking up the protocol online, he was then able to understand the binary string and extract the station ID information from it. Cparker then went on to write code that would plot the received stations on a map by cross referencing the station ID with a website containing location information about these sensors. Finally, he managed to get the whole system running live on a Raspberry Pi.